Many dogs are constantly scared and startled by objects or events in their environment. Sometimes we have control over those things, often we don’t, but we can still help the dog learn to feel better, safer and more comfortable, around them. Orca Whales and Pig-Killing Dogs: When Will the Madness Stop? How can one expect the suits, whose business it is to look for ratings or financial success for their company, to stand up for the animals they're responsible for and take note of the thousands of voices that are telling them that what they are supporting is so wrong? Consent: It’s Not Just for People! Consent is a right of every living being. We expect to be asked prior to being touched. But we give consent to strangers to touch our dogs without asking the dog. As a dog trainer, what I can do is teach you how to set your dog up so that the right choice becomes more obvious and comfortable to him. What I need for this is your help. If reactive dog owners come off as crazy, understand it's only because we've got a lot on our minds. 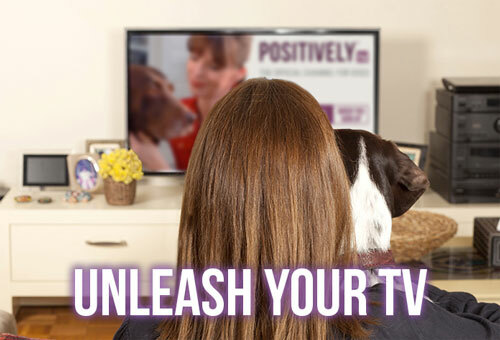 Here's what we'd like you to know about reactive dog owners before you meet us. In 2013, a NYC shelter began an innovative co-sheltering program called URIPALS, which allows victims to shelter with their pets. New York resident Jasmine Rivera says URIPALS saved her life, literally. Away from beach sports and tourist hustle and bustle, barking dogs greet visitors to the SPCA Puerto Vallarta in Mexico. It's simple but not easy to be skilled at managing a reactive dog. It takes lots of practice to sharpen your own mechanics while teaching the dog various exercises to help the dog stay focused on you. It may seem sometimes like everyone else has a “normal” dog while you struggle to make minute changes towards the better with your own. How can we cope? You Can’t Duct From Social Media! The best twist that came out of this whole situation was a young man who photographed his Rottweiler being offered a peanut butter stuffed bone, with the caption that “this is what happens when you won’t shut up”. Win/win for both sides of the equation. How Can Your Wild Puppy Become Your Brilliant Family Dog? I find that new puppy-owners tend to fall into two camps - those who expect too much too soon, and those who expect too little for too long. Pet parents often don’t realize that effective dog training can be very hard work, and that behavior change in their dog will only come after behavior change in themselves. Doing anything well isn’t usually easy. What I have learned over the years is that it often takes a really long time for a new behavior to become a habit. 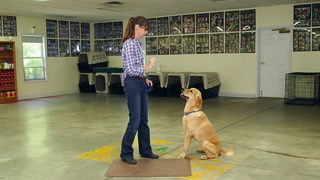 And sometimes it’s difficult for a dog training client to change their own habits to support their dog's new behaviors. As a committed champion for oldies, and passionate collector of good books, when I spotted the release of one that celebrates the lives of senior canines, of course it had to find its way into my collection. Although feline infectious peritonitis or FIP is called the most devastating disease in cats, Susan Gingrich is radiant about the future. Gingrich established the Bria Fund with the Winn Feline Foundation ten years ago, after her little Birman cat named Bria succumbed to the fatal disease. If you are stuck in your own home for who knows how long, you'd likely go stir crazy pretty quickly. Yet so many people expect this exact scenario for their dogs. There are few things that compare to the heartbreak of losing a dog. But what happens when it's not "your" dog, but rather a dog you saved from death days, months, or years ago? Adoption events save lives. 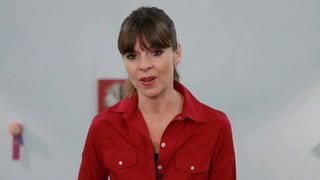 They're usually the driving force behind rescue groups and animal shelters reaching the community and finding adopters. But while they are great for finding new homes, adoption events can be very difficult for dogs. Can (and Should) Every Dog Be Saved? Many perfectly wonderful dogs with lovely temperaments are being euthanized regularly for space while extremists spend time battling online about why one dog that mauled a child should get another chance. Anyone who loves or has loved a dog fiercely understands the intense loss when a person's dog passes away.We love fiercely and completely and we need to view that as enough and not feel regrets for what we might have done differently to have our dogs in our lives longer. Dog’s lives are precious but they are far too brief and grief is the price that we pay to have so much happiness in our lives. Are Domestic Dogs Losing the Ability to Get Along with Each Other? 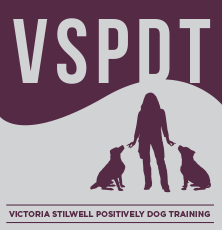 VSPDT Laura Brody discusses the topic of dog socialization and why modern domesticated dogs are showing more signs of dog-dog aggression than ever before. A Dog Died Today. Because of a Trainer. Or trainers. I can't clearly put this in any one person's lap. Let's back up and see where we are. First off, I am not going to identify the trainer(s), the dog, or the family. My purpose is not to belittle or attack anyone. Instead I want this to be a learning experience for other trainers and a warning to owners. Can a Veterinarian Treat His Own Pet? There is overwhelming evidence that keeping animals such as whales and dolphins in captivity for human enjoyment is psychologically and physically damaging for them. Sure it brings them closer to us and allows us to learn more about them both for our own education and for behavioral research but at great expense to their well being. Keeping an Orca whale or a dolphin in a Seaworld pool is akin to keeping it in a bathtub for the whole of its life and that goes for dolphins and manatees in other aquariums in the USA and around the world.